Workathlon’s career day took place at the “Speed Matching Zone”. More than 400 hospitality talents attended Workathlon’s “1st Interactive Hospitality Fair” on Tuesday at the Electra Palace hotel in Thessaloniki. Workathlon offers solutions for recruitment management and the proper personnel allocation for hotels and resorts. The lobby of Electra Palace was transformed into a networking zone with discussions focusing on the “common passion” of all attendants: hospitality. The event offered hospitality talents the opportunity to interact with industry experts, to listen and be heard. The 1st Interactive Hospitality Fair was comprised of three different zones, which were combined and offered participants a unified experience, providing insight on how to build a career in the hospitality sector. The fair’s first stop was the gaming zone, where participants had the opportunity to engage in an interactive online hospitality recruiting game. The game was comprised of 13 questions, which gave them the opportunity to showcase their skills, personality traits and knowledge on the positions they were interested in applying for. 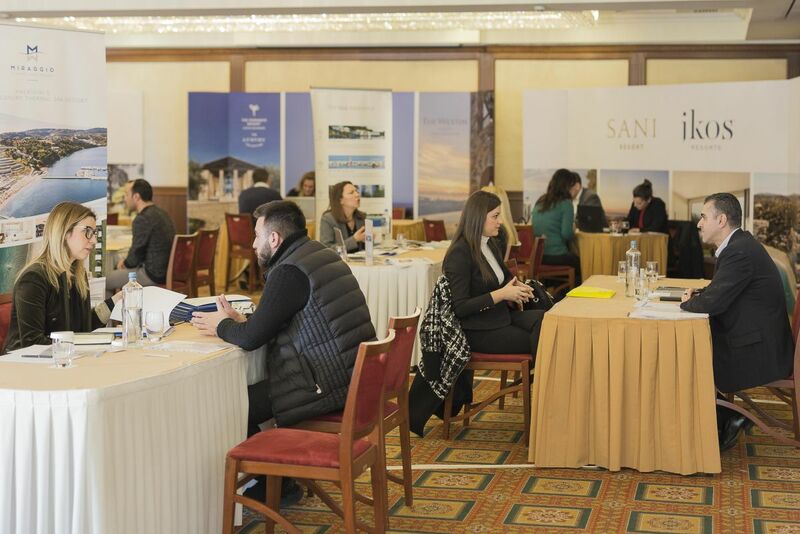 The second stop was meeting the Human Resources managers of some of the leading hotels in Greece, such as Costa Navarino, Amanzoe, Electra Palace, Santikos Collection, Sani Resort and many more. Cyprus was also present with the participation of Adams Beach Hotel from Ayia Napa. Welcome speech by Grigoris Tasios, president of the Hellenic Hoteliers Federation. The third stop was the fair’s forum, as parallel to meeting hospitality representatives, participants also had the chance to listen to speeches and panel discussions of Greece’s industry experts . 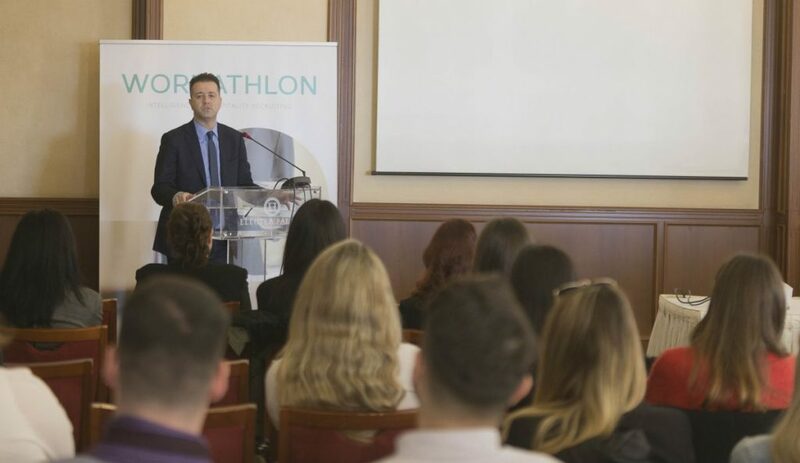 The forum was inaugurated by the president of the Hellenic Hoteliers Federation, Grigoris Tasios, who warmly welcomed Workathlon’s initiative, underlining that he has the same vision: to upgrade the services offered by the Greek hospitality sector. Participants then heard three inspirational speeches given by professionals working in leading hotels and who have excelled in the sector. Their stories raised the bar even higher and revealed what can be achieved through a career in hospitality. HR PANEL: Menelaos Bokeas, Sotiris Laskaridis, Maria Frantzikinaki and Elena Gkika. The first panel “Find your Route to Success” was comprised of experts in the HR field discussing what do HR managers look for, in a hospitality talent. During the second panel “Work your Route to Success”, hotel managers discussed how one can rise to the top of a hotel and build a meaningful career. The forum ended borrowing a phrase of the General Manager of Yotel Heathrow Hotel, George Peroutseas: “success is not a sprint but a marathon”. 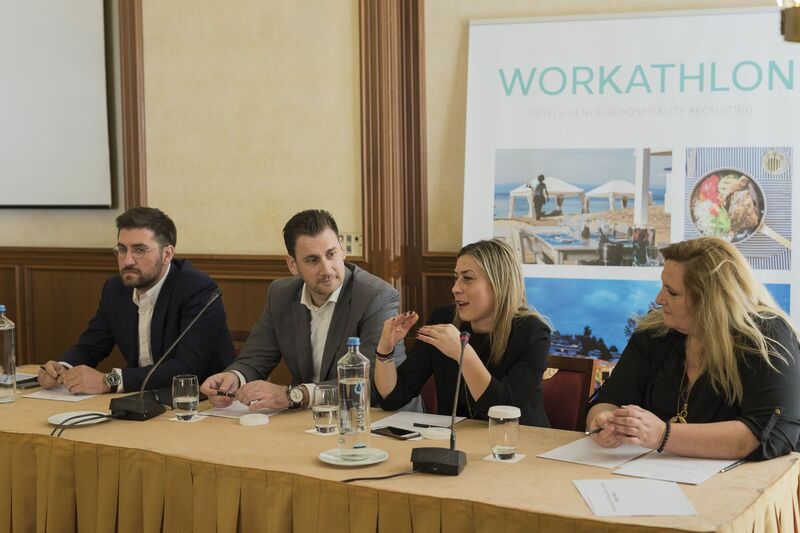 “The 1st Interactive Talent Fair was Workathlon’s first effort, one of many to come, that aims to inspire and support hospitality talents on their own professional ‘athlon’, their marathon towards success,” Workathlon said in an announcement. The Greek Travel Pages (GTP) was a communications sponsor of the 1st Interactive Hospitality Talent Fair.